Sashiko is a type of traditional Japanese embroidery. It started out as a way to strengthen cotton and linen fabrics, but these days, we enjoy its repetitive patterns for decoration. Once you get started, sashiko embroidery is a really calming and relaxing activity. Do you want another design for your pillows? 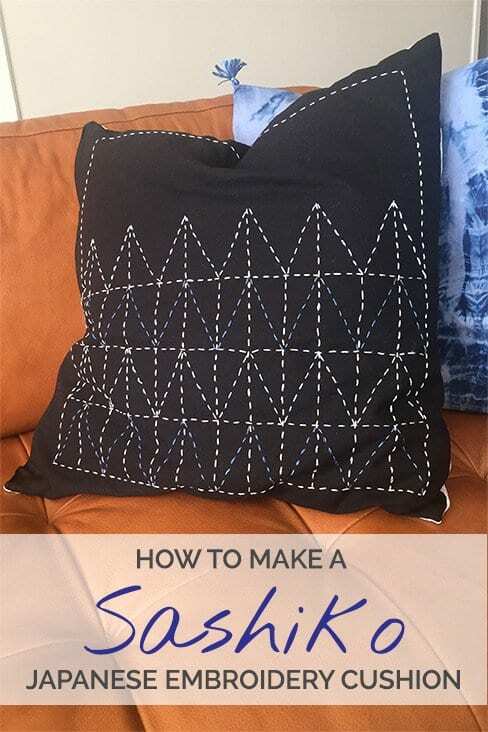 Check the FREE Bow Tie Pillow Sewing Pattern HERE.